The pace of change in the financial services industry requires innovative solutions that meet precise standards and comply with regulatory requirements. InfoWorks has professionals with experience in financial business operations and strategy, plus a track record of designing sophisticated technical solutions to meet complex requirements. As our client’s practice grew, development teams were forced to perform the same tasks on every new project, greatly decreasing productivity and increasing delivery time. A kit was created to standardize application development patterns, and thus reduce new application startup overhead while making all applications using this kit easier to maintain and simpler to integrate into the practice’s application ecosystem. InfoWorks implemented this kit, a foundational .NET solution, to distribute core functionality and enforce a common architecture across all applications developed by the practice. Features deemed useful for all applications were included with extensible implementations that are customizable for each application’s requirements. Once the kit was adopted by several application teams, InfoWorks assisted in the production of an automated project provisioning process that greatly reduced new application startup time. InfoWorks’ involvement in these efforts has been a major factor in this core library and provisioning process gaining global recognition and interest across the client’s associated firms. Our client’s internal IT team and assignment practice needed a solution that allowed the practice to transition to a more granular security structure within their docbase as well as eliminate a large number of manual processes around data synchronization and the tax return submission process. InfoWorks’ Technology Solutions team developed and implemented a middleware application that integrates the client’s global tax system with the practice’s docbase as well as with the third-party vendor for tax return preparation. This application saves millions of dollars in man-hours by allowing tax professionals the ability to offer their specialized knowledge to benefit their clients while reducing wait time, thus removing a process bottleneck to improve project team agility. Our client lacked a standardized process to receive daily paperwork from its 80 retail locations. Paperwork was delivered without a strict timeline or accountability. Auditors manually reviewed paperwork before inputting results into their accounting system. InfoWorks managed the implementation of an enterprise content management system which integrated the retail locations and corporate accounting department by sending daily audit paperwork electronically. We also oversaw the creation of a paperless audit process that documented all paperwork, audit results, and corrections in an online format, reducing turnaround time from weeks to days. Ryan Jackson has over 10 years of experience in application development, business requirements, and project management that he leverages to lead the Technology Solutions team. His project experience spans several industries including financial services, healthcare, higher education, technology, and manufacturing. Mitchell Blue has over 15 years of experience as a technical consultant and his strengths include Java, Oracle, C#, ASP.NET MVC, SQL Server, and web development. He has worked in a variety of industries including financial services, healthcare, higher education, and manufacturing. 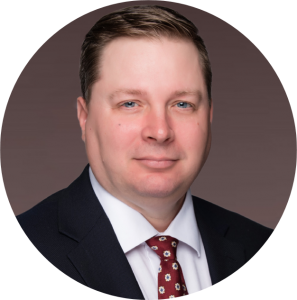 Chris Mahaffey has over 15 years of experience in business intelligence, application development, internet development, and data warehousing technologies, with expertise including multi-dimensional databases, ETL, data warehousing, Microsoft business intelligence tools, and web-based technologies.